Hall Place is a lovely manor house built in 1537 for a former Lord Mayor of London, Sir John Champneys. 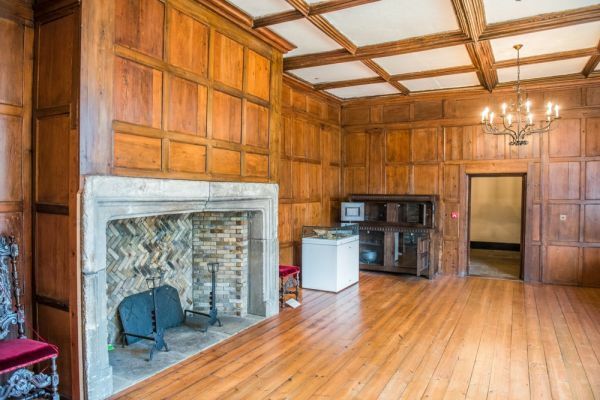 The interior boasts a very fine Tudor great hall with original panelling, overlooked by a minstrel's gallery. Look for the Queen's Beasts topiary garden, with hedges clipped to resemble heraldic symbols. 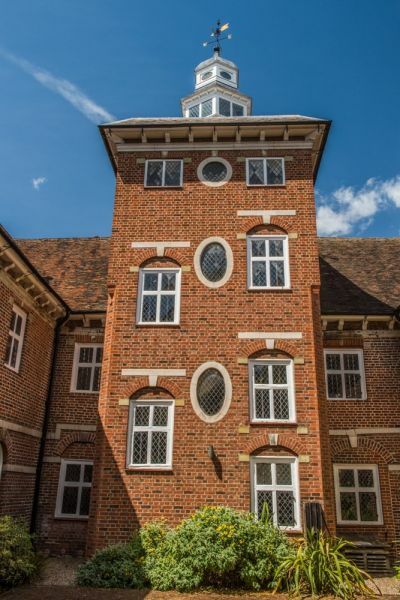 There was a manor house on this site in 1241, but the story of Hall Place really begins 3 centuries later when Sir John Champney, a former Lord Mayor of London, built a new house on a traditional Tudor plan, with a great hall acting as the centrepiece. On one side of the hall were family quarters, with a great chamber and parlour, while on the other side was a service wing. Sir John Champney used stone from nearby Lesnes Abbey, which was dissolved a few years earlier by Henry VIII. In 1649 the house was purchased by Robert Austen, a wealthy merchant from Tenterden. 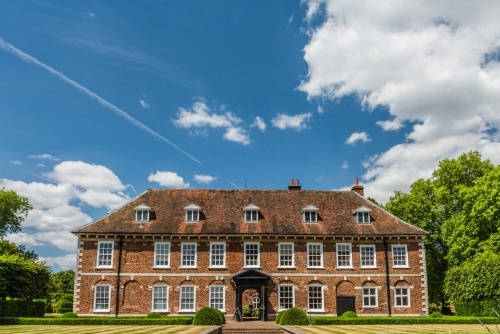 Austen set about transforming his new house, doubling its size by adding a new wing, with a staircase tower looking down on a red-brick courtyard. 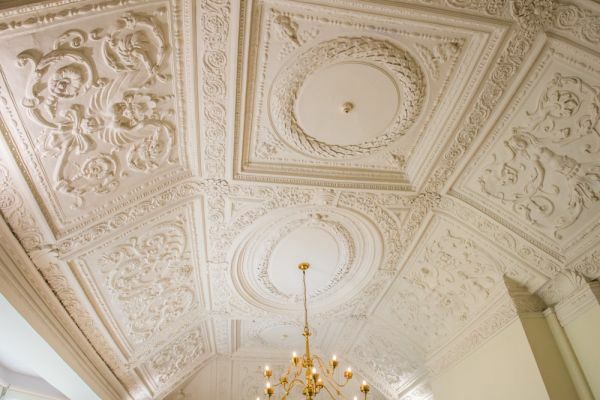 Austen also added the Hall's most interesting interior feature, the ornate plasterwork ceiling that decorates the great chamber. Austen made no attempt to alter the style of the Tudor house, with the result that Hall Place looks like what it is; a house in two halves, representing 2 distinct time periods in English history. In the 18th century, the house was bought by Sir Francis Dashwood, the most prominent member of the infamous Hellfire Club. The house served as a boarding school and was let to a succession of tenants. 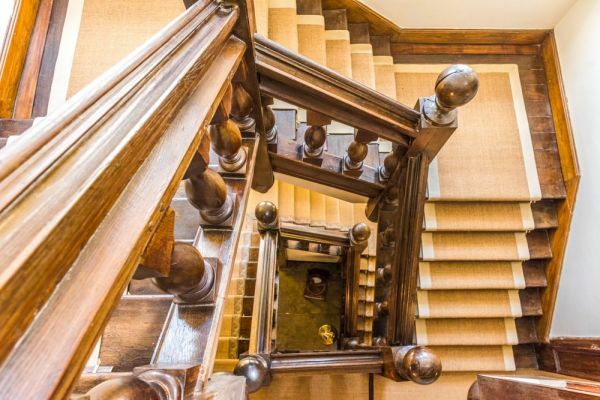 Then from 1860 Sir Francis' grandson Maitland Dashwood added a lodge and installed richly carved wooden panelling and parquet floors before letting the house once more. The last tenant was the Countess of Limerick. It was Lady Limerick who planted the distinctive topiary garden of heraldic figures outside the house. Dubbed the 'Queen's Beasts', the topiary garden was opened to the public in honour of Elizabeth II's coronation. World War Two brought dramatic changes to Hall Place when the U.S Army’s Signal Corps 6811th Signal Service Detachment was stationed here. Beginning in 1944 the Corps helped British efforts to break the Enigma code machine used by the Germans, and tracked German Air Force signals. The American forces installed large numbers of radio receivers in the Great Hall and the Tudor Kitchen. After the war was used by a girl's school, then by the local library and museum service for Bexley. The interiors were then restored and opened by the Bexley Heritage Trust. 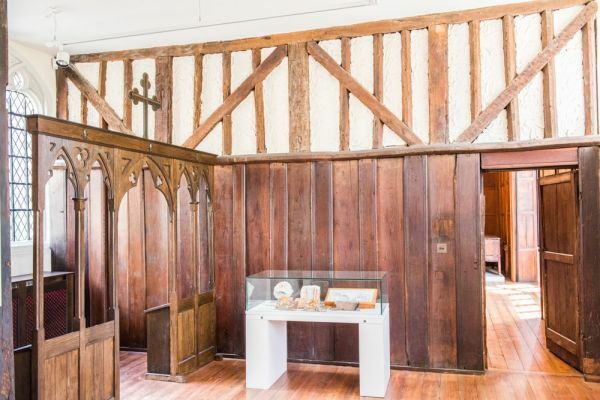 Visitors can see the Great Hall and Tudor Kitchens, the Long Gallery, where objects from the museum are displayed, and the Chapel Gallery, with interactive displays for younger visitors. The interiors offer a marvellous glimpse of Tudor and 17th-century architecture, with period furnishings and wood panelling. When we visited there was a special exhibit on Hall Place during WWII, showing how the soldiers lived and worked here. 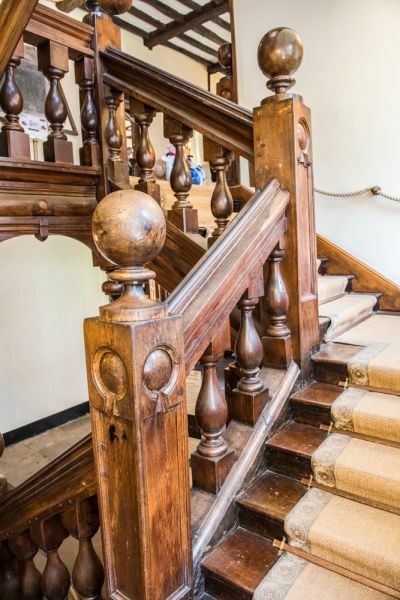 One of the most unusual items on show is a richly decorated free-standing shower installed by Lady Anne, located rather oddly at the top landing of the beautifuly carved staircase. The house stands in 65 acres of gardens, with wildflower meadows mixing with more formal features like colourful herbaceous borders and topiary sculptures in the form of strange beasts. Visitors can see a wide range of wildlife including ring-necked parakeets and a kingfisher. The old walled gardens boast a subtropical glasshouse with rare and exotic plants. The house is now owned by Bexley Heritage Trust, which also looks after nearby Danson House. 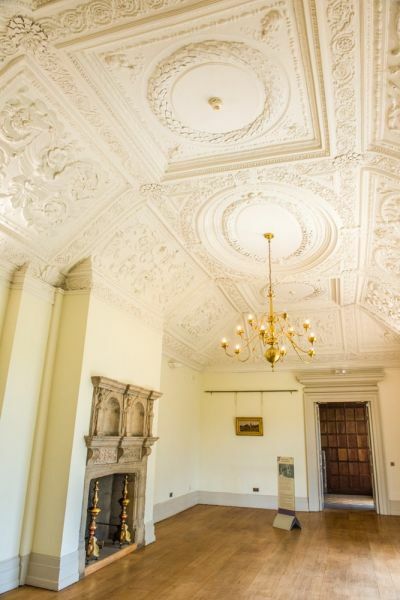 Hall Place houses the Trust's museum, with over 50,000 objects related to Bexley heritage, from natural history and geology of the area, to archaeology, fashion, fine art and furniture. 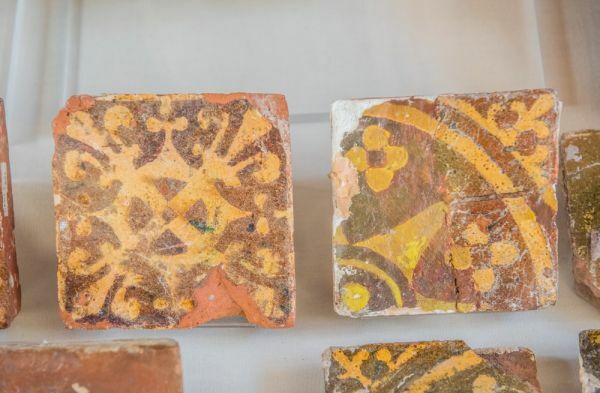 A pair of special exhibits are arranged each year, displaying themed objects from the museum collection. There is also an extensive archive of local documents and photos to explore, in conjunction with the Bexley Local Studies and Archive Centre in Bexleyheath. There are regular special events, and the house can be hired for weddings. By far the easiest public transport acces to Hall Place is by rail to Bexley station. There are regular trains from London Bridge station to Bexley. From the station entrance walk north to Bexley High Street and turn right. Follow the High Street as it turns into Bourne Road, and take the overpass above the A2. You will see Hall pLace at the eastern end of the overpass. From the station to the Hall pLace entrance is roughly 15 minutes walk. 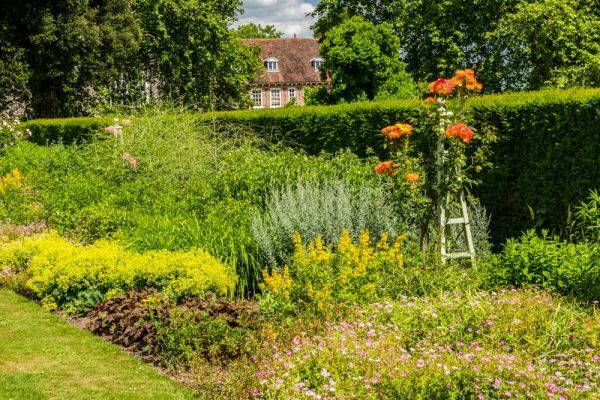 Garden: Formal topiary and herbaceous borders act as the setting for a fine Tudor manor. There is a secret garden and Italianate garden, plus a sub-tropical plant house and garden centre. Location: On the A2. By rail from London Bridge to Bexley station.